KANSAS CITY, Mo. 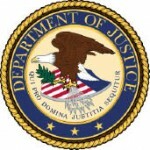 – Tammy Dickinson, United States Attorney for the Western District of Missouri, announced that a Kansas City, Mo., postal clerk pleaded guilty in federal court today to stealing gift cards from the mail. Veronica K. Grant, 63, of Kansas City, waived her right to a grand jury and pleaded guilty before U.S. Chief District Judge Greg Kays to a federal information that charges her with the theft of mail by a postal employee. Grant was employed as a clerk by the U.S. Postal Service at the processing and distribution center in Kansas City, Mo. Grant’s role was to match any loose contents that became separated from the addressed envelope or container from which it was mailed, then forward the mail to its destination. On April 3, 2015, the U.S. Postal Service, Office of Inspector General received information that a $50 T.J.Maxx gift card had been reported missing from the mail. The gift card had been mailed from the sender in Springfield, Mo., on March 7, 2015, to the recipient in Texas. USPS determined that the gift card went through the process and distribution center where Grant was employed but never reached its intended recipient. Grant admitted that she used the gift card at the T.J. Maxx store in Blue Springs, Mo., on March 12, 2015. Store surveillance video depicted her at the checkout counter utilizing the stolen gift card. Following an interview with investigators on October 5, 2015, Grant consented to a search of her belongings. Five additional gift cards were recovered from Grant’s purse. Investigators later determined that these gift cards had been stolen from the mail as well. Investigators have identified 11 victims of Grant’s mail theft. Under the terms of today’s plea agreement, the government agrees it will recommend probation, which could include a combination of home confinement or a half-way house. Grant agrees to pay restitution to any victims identified. A sentencing hearing will be scheduled after the completion of a presentence investigation by the United States Probation Office. This case is being prosecuted by Assistant U.S. Attorney Brent Venneman. It was investigated by the U.S. Postal Service, Office of Inspector General.